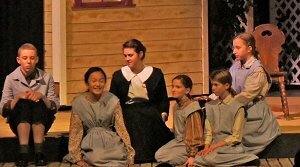 Led by some truly outstanding performances from the leading ladies, the entire cast and crew of The Miracle Worker drew rave reviews and standing ovations for this year's Fall production. 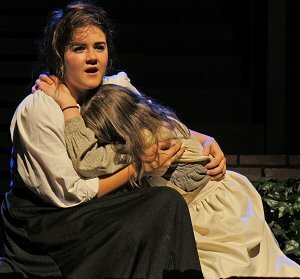 Many thanks to not only the cast and crew for their hard work and top-notch performances, but to all the Performing Arts students, parents, and volunteers who dedicated their time and efforts to bring this inspiring story to life. Bravo! Mr. Craig Duke directed the production.